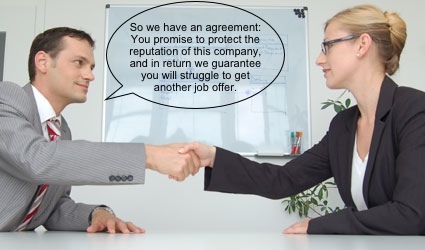 I was with a client recently who has parted ways with his former employer under a compromise agreement or, as they are now more palatably known, a settlement agreement. The subtle change in words suggest something more positively negotiated than a compromise, that has a whiff of reluctance about it. Nonetheless, the outcome is the same, and that outcome usually works for the employer better than for the employee in the long run. In most cases the reason for the compromise, sorry settlement, is to enable the employer to get rid of someone in circumstances where the employee might other wise have a claim for unfair dismissal for example, where the employee having not performed poorly over a period of time as measured by a performance management programme, or where their role is not being made redundant. I’ve worked with several people who have agreed to leave an organisation with a generous pay-off (and sometimes a not so generous pay-off) simply because they were at something of a loose end without anything realistic they could do to justify their salary. Rather than go through a formal redundancy process it’s sometimes easier and more convenient for both parties to agree to part company with an enhanced pay-off. However, in a small number of cases, the reason is more serious. It may be that an incident has taken place where the employee has experienced a form of discrimination and rather than drag the employer through a tribunal process, the employer may persuade them (perhaps with good reason) that a quiet settlement would be better for all concerned. Another case I dealt with concerned an employee not seeing eye to eye with a newly installed boss (for which read “new boss wanted to bring their own guy in”). You can see why in such cases it is important for the employer to draw a line under the affair in order to avoid publicity. The deal will comprise a pay-off, a nice reference and a gag. The problem for the former employee is that such agreements often lead to curiosity and suspicion and without the ability to explain the circumstances of the departure, the employee may find themselves rejected for another candidate when they apply for another job. This can be a particular problem at times like these when prospective employers have enough choice of candidates to be able to exclude any that come with unexplained baggage. Furthermore, it is very unusual for people to leave a job without another to go to when unemployment is high, so people really need to be prepared to answer the question about why they have done so and not assume it will be overlooked. Employees are often on the back foot in such circumstances and this might lead to them agreeing to a deal more rapidly than they ought. With the temptation of a chunky pay-off and a glowingly written reference people often think there’s no downside. It’s only later on when the restrictions on what they can say start to cause them difficulties. If you find yourself in this situation take professional advice to make sure you are thinking about all that needs to be thought about. Your employer should be prepared to pay for this advice. You also need to be sure you can answer the inevitable interview question – “why did you leave your last job?” Can you look the interviewer in the eye and give an honest answer? If not, you haven’t covered well enough what should and shouldn’t be restricted. Your advisor should be able to help you find a form of words that protect the interests of both parties. That set of words is critical to your ability to secure a new job so it requires plenty of consideration before you sign the agreement. Remember that you have done nothing wrong and this exercise is for your employers convenience. Don’t let them make it a future problem for you. (Well eight actually, but I couldn’t spoil the alliteration. That said, you never know, I may have come up with a couple more by the time I’ve finished writing this piece). If you’re anything like me you hate using the telephone. I don’t like chatting on it, and I really don’t like receiving calls. Don’t they know I’m doing something and they are disturbing me? 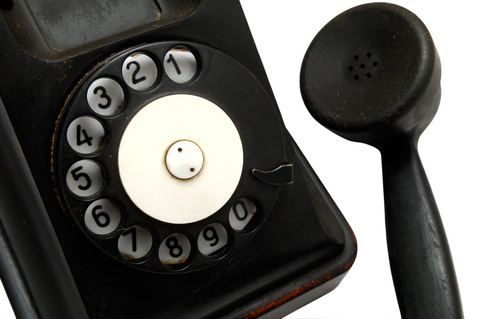 Free stock image of an old phone. Maybe I could have got an image of a new one if I were prepared to pay for it. Pre-arranged calls are OK for work, I suppose, they are convenient and can be helpful when you want to do no more than exchange information. I use them regularly to assess potential clients. It saves us both time, allowing me to understand what the client wants in terms of support. However, unless there are logistical or geographical factors that demand telephone conversations, I strongly resist them for the rest of the coaching or counselling relationship because, quite simply, there is no substitute for being together in a room if you really want to get to know a person. That’s why telephone interviews have limited value. They’re useful for screening people out of the interview process but I wouldn’t recommend their use for the latter stages of selection. Nonetheless, they are used frequently and it’s worth understanding how to be at your best when you’re facing one. Speak slowly and clearly. Not like some weird person who is teaching pronunciation. Just remember that without the visual clues, and because the quality of sound of the ‘phone may be variable, you won’t be as clear as in a face to face conversation. Stand up and walk about. To help with the above, being on your feet is a good tip. Your lungs have more space to work and people generally find it easier to express themselves when they are able to move freely. This is one of the things you can do in a telephone interview that you can’t do in a face to face interview. Use a quiet room. You don’t need distractions, so decide where you should be and pick the right time for the call. Make it a room you can move about in if you can. Use a well-baffled room. you don’t need to sound like you are talking from inside an oak barrel. Spread you paperwork out on a large table in a way that it is easy to view. Then when you’re asked a question it’s easy to find your notes without shuffling papers. That doesn’t mean prepare scripts, far from it. These would be the same “aide memoire” type jottings you would possibly take into a face to face interview. Have a picture of your interviewer. If you know who will be interviewing you try to find an image of them on the internet. Linkedin would be my first port of call. Print it off and use it as a focal point during your conversation to remind yourself that you are not standing in a room alone talking out loud, but that you are in conversation with another person and you are trying to build rapport with them. Smile. People can hear you smile over the phone. Yes, it’s been said a million times before but it’s true. It goes back to the stuff about intonation. Anyway, there you have it. Sorry I couldn’t add any more tips to make it up to ten, without them really being variations on any of the above, the sort of thing you would do in a face to face interview, or just lame. Please feel free to send in a response with your own tips to make the list up to ten. 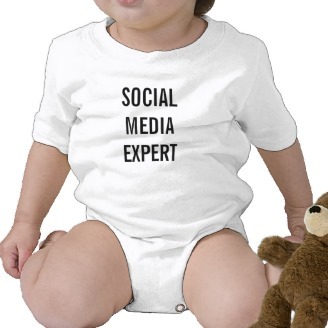 I know, I know, all this social media is really tedious for the over 40’s. The rest of you probably don’t need to read this, and why should you? What can a (nearly) fifty year old tell you about using the interweb? You can buy this T-shirt at http://www.zazzle.co.uk/linkedin+gifts (Now hopefully they won’t hound me for using their image). Probably nothing. But I have been gathering my thoughts about Linkedin. These are not the thoughts of a gunslinging socmedguru, although I do still wear T-shirts with provocative slogans from time to time. Instead, they are the thoughts of a person who likes to think he knows a bit about the job search process and who has been fiddling around with a Linkedin presence for a few years also. Furthermore, to prove I am fully au fait with the internet age, the contents of this article is the result of internet research. In other words, I did a quick Google search, found a few lousy articles (probably much like this) lifted a couple of ideas, mixed in my own et voila, and original piece. Just for you. Call it “a literature review” if you like, that’s the way they describe plagiarism these days. You’ll notice that, like so many other blog articles these days, it is in the form of a boring list of “dos and don’ts”. Apparently that’s the most effective way to communicate nowadays. Lists of stuff. Anyway, where was I? Oh yes, How to create a great Linkedin in profile. There’s loads to talk about so this cannot go into everything. Just a few things that I think make a big difference. Get a professional profile picture. In almost every other respect your Linkedin page is like your CV. However, one of the big differences is that this is a searchable public document. You want strangers to look for it and to be interested in you. A good quality photo helps. A lousy picture is a bad thing. No picture makes you look like you can’t be bothered. No holiday snaps. No pets, family, or full body images of you taking up 10% of the frame because you want us to see the beautiful landscape, no busy backgrounds. Just a good head and shoulders shot against a plain background. Look like you’re at work. Your Professional headline. Describe yourself as a professional: Marketing Director, Senior Finance Professional, Property Lawyer. be truthful, but use the language that people searching for someone like you might use. There’s no point in giving yourself an obscure title because the chances are you won’t be spotted. Some people also like to add a few words like “Seeking new opportunity” to indicate they are available for work. Don’t be shy about doing this. People looking for you won’t think any the worse if you are not currently working. They know there are plenty of talented people out there looking for work. Make it easier for them to spot you. You have a big advantage in being available to work. Summary. Unlike your CV where you should limit the amount of space assigned to this, on your Linkedin profile you can go into a little bit more detail because nobody is counting pages. That said, it is not an invitation to ramble. Your objective is to communicate, succinctly, what it is you might bring to any organisation. Since you don’t know who is looking at it or what they are looking for, you need to keep it reasonably general, but not so general that it reads like it could be by or about anyone. Don’t fall into the trap of using universal platitudes – stick to meaningful facts. Tell the reader a little about your background, your level, where you have worked, etc, and tell them some stuff that will make you stand out from the crowd. Particular relevant experience, languages, overseas experience, significant projects, that sort of thing. Experience. Describe achievements, not responsibilities. Be proactive on Linkedin. Most people set up a profile and then ignore it. The way to be noticed, to come up on when people search, and to prove yourself and knowledgeable is to participate. The way to do this is by joining Groups (up to 50) related to your area. Recruiters are also in these groups and they will see you there. Don’t make a nuisance of yourself by spending your whole time in those discussions, but do drop by regularly and offer a comment if you have something useful to add. Be visible, not anonymous. When you visit someone’s profile you want them to know you visited, unless you’re a spy or possibly journalist. Go to Edit Profile, scroll down to the bottom of the page where you will find a heading entitled Connections and the option to Customise Visibility. Click on this and make sure your connections can see your other connections – that’s what networking is about. Then behind the dialogue box you’ll see a list under Privacy Controls. Choose Select what others see when you’ve viewed their profile and make sure the first option, Your name and headline is active. I know this article may give the impression that I find the whole business of Linked in tedious and wearisome. that’s not entirely true. I just find all the blabber about it tedious and wearisome. I also get fed up with the way it is badly used by job seekers. Linkedin is not networking. It is a tool to aid networking. Having a Linkedin profile doesn’t bring waves of job offers to your inbox, it just makes it easier for you to do your job, which it to find people to connect with who may be able to help you. The above tips just highlight some of the many ways I have noticed that people fail to make best use of their Linkedin presence. Here are five ways not to answer the question: “Tell me about your main weakness”. 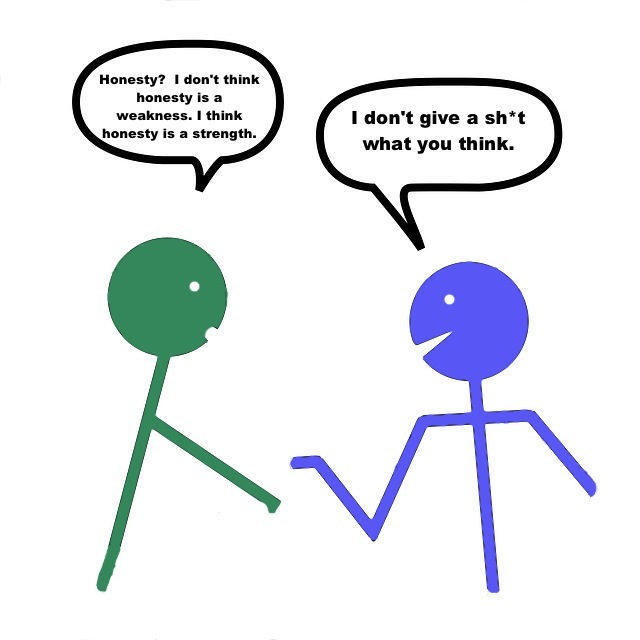 Everyone has a weakness. In fact everyone has several weaknesses. If you don’t know your weakness then you lack self-awareness and self-awareness is what this question is trying to uncover. Of course you could say your weakness is lack of self-awareness, but I wouldn’t. Then you’d better become an artist who doesn’t sell their work. Fools surround us all and we have to suffer them. This is possibly the smuggest and most transparent answer you can give. All it is trying to say is “I’m clever and I don’t have time for people who aren’t clever like me (and you, the interviewer)”. It doesn’t wash. It’s such a cliché that it actually makes you look like a fool. Big deal. You’ve probably got someone to manage your diary for you. You may as well tell them you don’t make good coffee. However senior you are, find a weakness that is relevant to your level of seniority, not several ranks below. 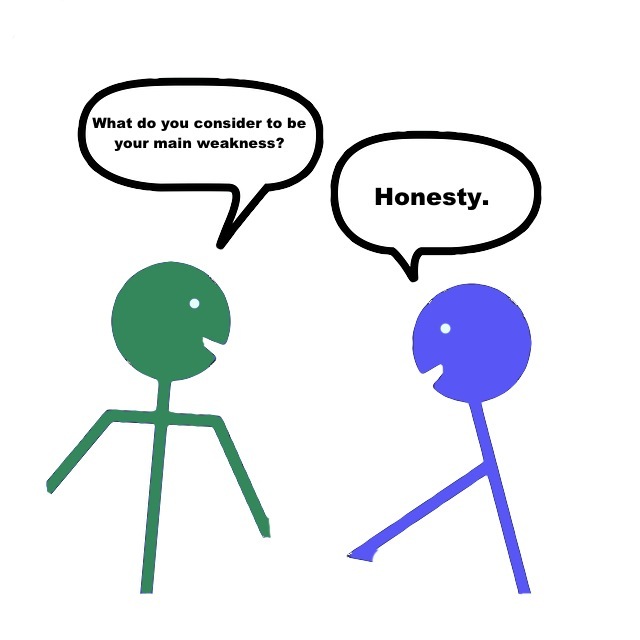 OK, so honesty is generally a good principle at work, but that doesn’t mean you need to demonstrate it by telling the interviewer that you are not afraid to admit you have loads of weaknesses. When you go into the room be ready with two weaknesses and offer the first. If they ask for another then offer that one. Don’t encourage the interviewer to turn the question into a confessional. Admitting to a weakness is only the start point of the answer. The remainder is explaining how you manage that weakness. Remember this when you tell the interviewer that you don’t suffer fools gladly.